IT'S GOOOOOD! 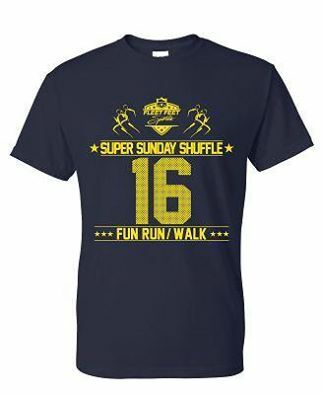 The 2nd Annual Super Sunday Shuffle will take place this Sunday, February 7th at 8am! Join us for the fun. Maps and routes will be available for the 2-mile and 3.1-mile walk/run routes. Then, afterwards head over to the store for a Bloody Mary Bar and breakfast! Plus, who doesn't love a good throwback shirt? For more information, or to sign up, click here!